This is one of the more finer jobs when it comes to decorating, painting kitchen cabinets is no quick job. Great care must be taken to ensure that finish is flawless, this can be achieved either through a Synthetic paint brush or a HVLP Airless Sprayer. Kitchen cupboards are often finished in a wax, oil or natural wood, therefore when applying different paint finishes it is imperative that the primer coat adheres well to the units especially on laminate cabinets. Other ways to improve the finish is to use a high quality paint brush. There are many different brands but I recommend using a synthetic Fox or Picasso paint brush as these will limit the amount of brush marks. 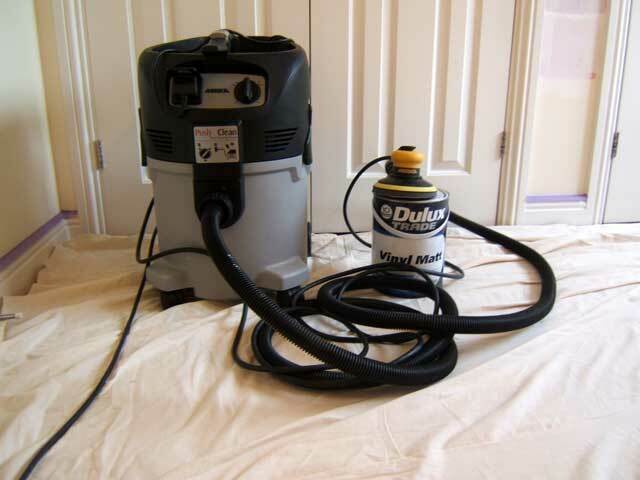 When sanding I personally use a Mirka Ceros connected to a hoover to provide a dustless sanding system, this system cost me more than £300 but I feel when entering a customer’s home the vacuum works wonders when connected to the sander.